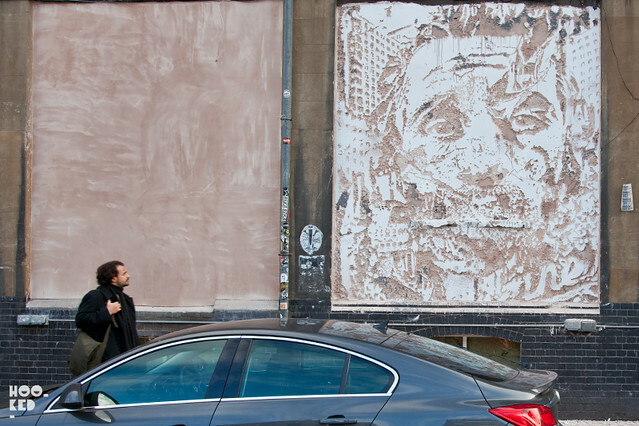 Portuguese-born street artist Alexandre Farto aka Vhils is currently in London ahead of his Devoid Exhibition which opens to the public tomorrow the 30th November at Lazarides Rathbone Place Gallery space. It has been three years since the artists last exhibition with the gallery and probably about the same amount of time since we saw some new street work from him here in London. 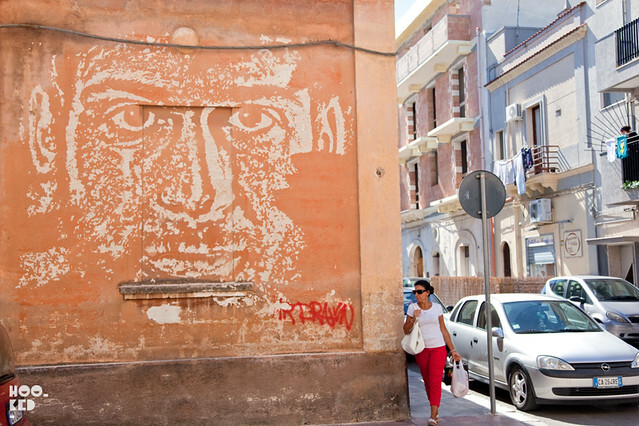 We were fortunate enough to catch some of Vhils new work back in September in the South Of Italy at this years Fame Festival including this wonderful street piece pictured above. It has been great to see him hitting the streets again here in London on this visit. 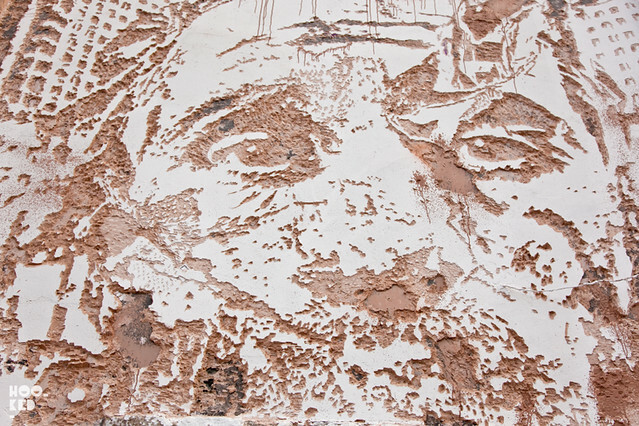 With one new street piece already completed on Hewlett Street over the weekend, Vhils finished this second large scale portrait piece pictured below last night in the Old Truman Brewery. 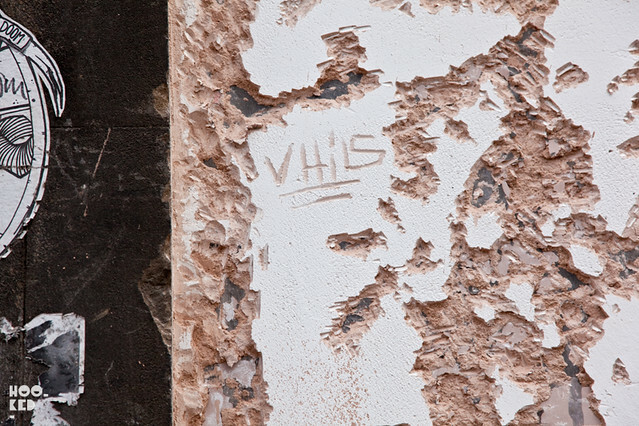 A third London piece by the artist has appeared somewhere in London and has been captured by photographer Ian Cox here. If you get the chance go and see these street pieces in person and be sure and check the exhibition, it runs until the 5th January 2013!